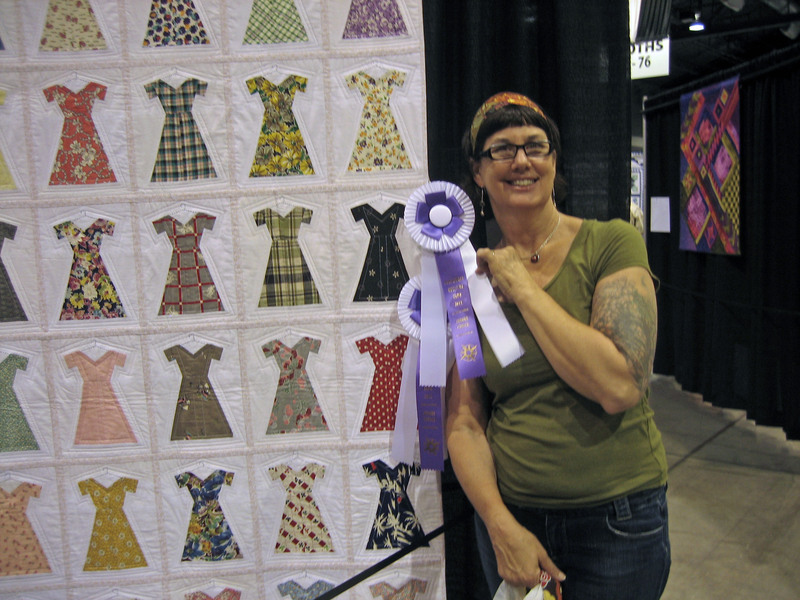 A month ago I took a big chance and entered a couple of quilts in the NW Quilt Expo in Portland. 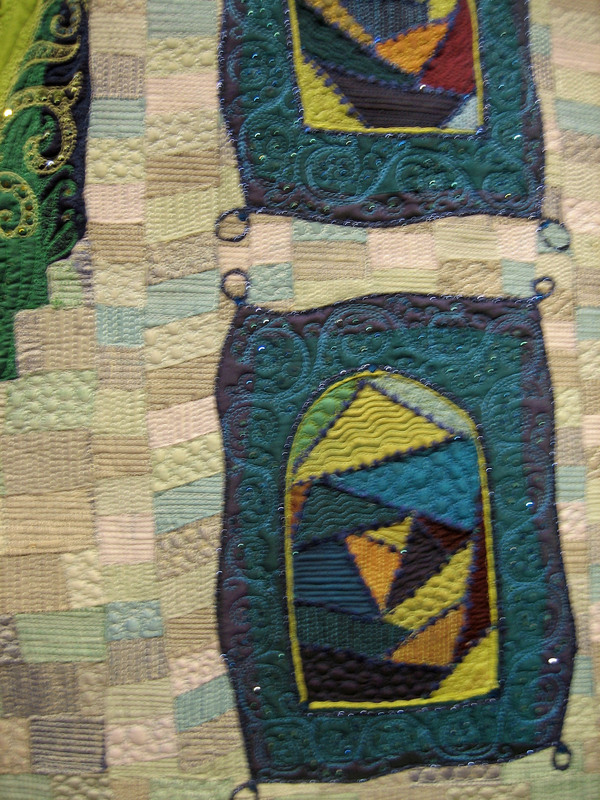 When the acceptance letter came, I got all excited: “We are pleased to announce that your quilt has been accepted into the show!” Whoopee! Wait – which one??? I called, gave my name and the woman in charge called back and said gleefully ‘both of them’ . Not at all what I had expected. Wow. So I get them dropped off via a friend who was making the trip to the big city. 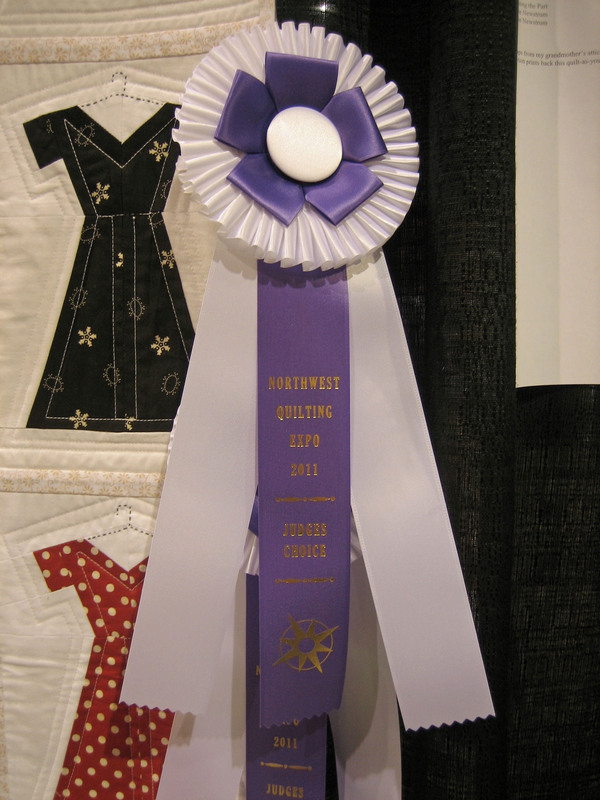 Then, a couple weeks ago the phone rings: “Hi, it’s Shelly from the NW Quilt Expo, and I was calling to invite you to our awards ceremony. We hope you can make it.” “Uh, okay, sure, I’ll try to be there.” (The whole time I’m thinking that they are calling everyone who entered so that they can get an audience for the awards/ sell me something/ or who knows what.) Shelly then says ( because I sound so nonplussed) “I’m calling because you won! If you’re at the ceremony, I’ll hand you your certificate and an envelope with the cash.” Did she say cash? Won? Wait – does she have the right person? I’ve been to that show, and truly the things I’ve seen there are nothing remotely like the work that I do. 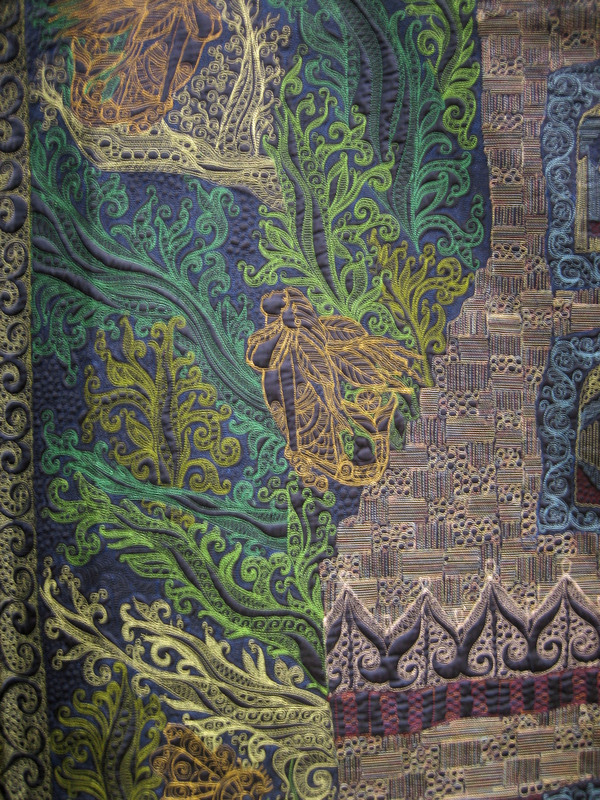 Incredible quilting, stunning design. I might get points for creativity, but the technical skills, well, lets just say I have a long ways to go. 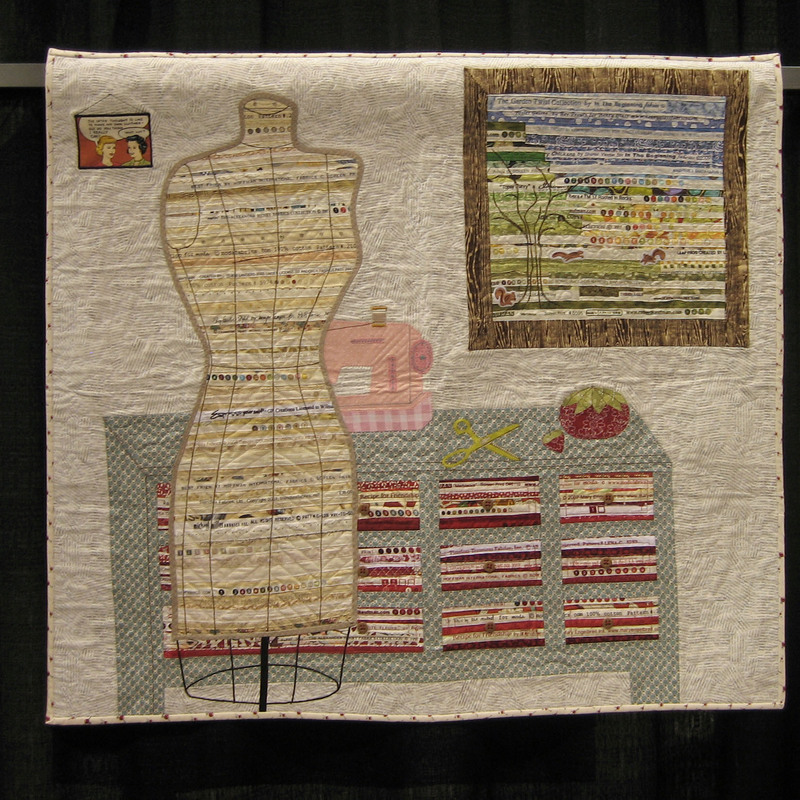 So, last week I set out for Portland to go to the NW Quilt Expo. I picked up mom in Kelso ( she rode the train from Seattle) then we were on our way. Of course a stop at Fabric Depot is somewhere in the unwritten rules of going anywhere near Portland, and we both found a few things – well, how can you not? I found the first of my two entries ‘Room with a View’ and no ribbon attached to it, so I knew that it was the little dresses that got the prize. When we found ‘Dressing the Part’ I could barely contain my excitement. There was a pretty pair of ribbons pinned to it ( why there were two on each of the winners, I don’t know???) that read “Judges Choice”. Really? I must have hit a soft spot with another lover of vintage fabrics. 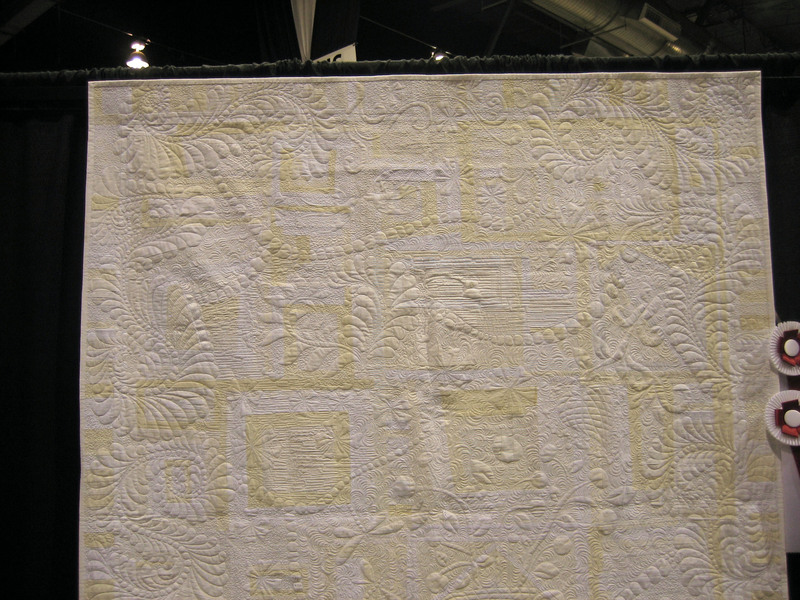 This quilt was certainly the plainest jane of all the quilts at the show. The only embellishment being the little embroidered hangers on each of the ninety-nine blocks. 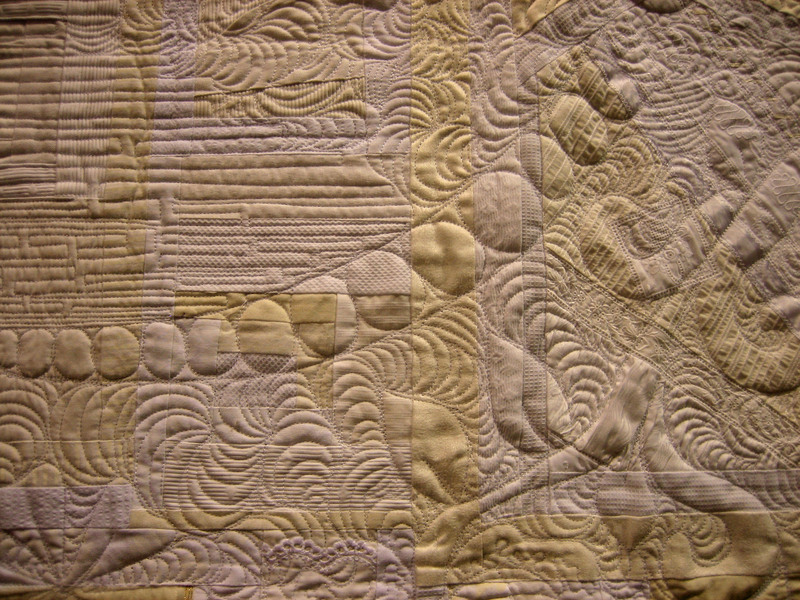 And just a minimal amount of quilting. Mom insisted on taking my picture with both quilts – it’s so cool to be a grownup and see your mom so proud of you. And I was there for the award ceremony, and received my certificate and a sweet check. We walked and shopped and looked and took pictures pretty much the whole day. 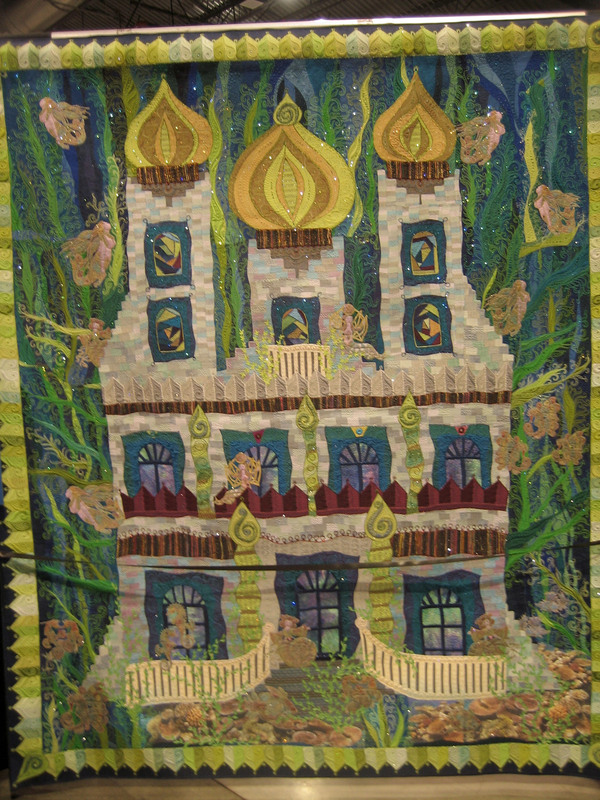 I saw so many inspiring quilts, lots of really beautiful patterns and some awesome fabrics. There were notions that sort of made my head spin . Now truth be told, I am a notions junkie (just ask my friend Julie) – I love a new tool or gadget in my sewing room, in the kitchen or something to make painting just a little neater/easier. But this thing – I just stood there while the nice lady demonstrated it, my mouth open and dumbstruck for words. I started laughing a bit, then just stared at it for a few minutes trying to figure out who would spend the equivalent of five or more yards of fabric on such a silly thing ( that you have to put batteries into!!!). I sort of thought my head would explode if I kept contemplating it. So we left. Then it was north to Seattle for a few days. I think I drove there on a cloud. With my proud mom. 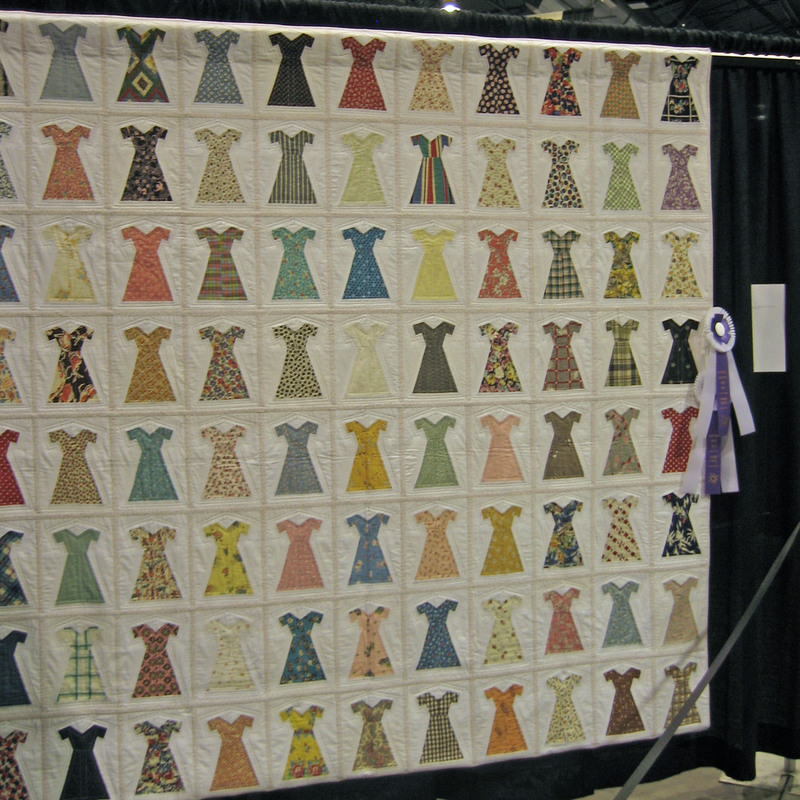 I absolutely love the the vintage dress quilt….it deserved to win for the detail of each dainty dress and the idea behind…of course you won its to nifty.